Zanzibar Royal Family was the ruling family of the Sultanate of Zanzibar, which was established on 19 October 1856 after the death of Said bin Sultan, who had ruled Oman and Zanzibar as the Sultan of Oman since 1804, until 12 January 1964 revolution. The Zanzibar Royal Family is a cadet branch of the Al Said Dynasty of Oman. The current head is HM Sultan Sayyid Jamshid bin Abdullah Al Said, Titular Sultan of Zanzibar. ZANZIBAR is situated roughly twenty miles from the shores of the African continent. It is the Africa's second largest island, after Malagasy, in the Indian Ocean. Originally it consists of the two main islands, Unguja, with an area of 640 sq. miles, and Pemba with one of 380 sq. miles. There are other islets, Uzi, Kojani, Fundo, Panza and Tumbatu; the latter (area 3600 acres) is the only one which is inhabited and of any significance, lying not far from the north-west coast of Unguja. Zanzibar, has played a part in local history out of all proportion to its size. The reason is its easy access to traders and adventurers exploring down the east coast of Africa from Arabia. Islam is well established in this region by the 11th century. Vasco da Gama's visit in 1499 marks the beginning of European influence, and the Portuguese established control over the island four years later. In August 1505, it became part of the Portuguese Empire when Captain John (João) Homere, part of Francisco de Almeida's fleet, captured the island. It was to remain a possession of Portugal for almost two centuries. In 1698, Zanzibar became part of the overseas holdings of Oman, falling under the control of the Sultan of Oman. Said bin Sultan became the Sultan of Oman in 1806. His grandfather Ahmad bin Said Al-Busaid (1710 – 15 December 1783) was the first ruler of Oman of the Al Said dynasty. Early 19th century were the years of internal rivalry between Britain and France for the control of India and the Indian ocean. Muscat, the capital of Oman, was a port of strategic importance. It was situated where the trade route from Bombay was divided on its way to the Gulf and the Red Sea. The Al-Busaidi dynasty had made its alliance with Britain by the treaty of 1798, and was thus anxiously awaiting the outcome of the struggle between the two capitalist powers. The issue of who was to be the supreme power in the Indian Ocean was resolved at the battle of Waterloo. By defeating France, Britain emerged as the master in the Indian Ocean. 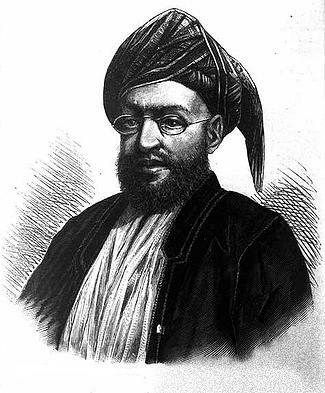 In 1832 Said bin Sultan moved his capital from Muscat in Oman to Stone Town in Zanzibar. He established a ruling Arab elite and encouraged the development of clove plantations, using the island's slave labour. Zanzibar's commerce fell increasingly into the hands of traders from the Indian subcontinent, whom Said encouraged to settle on the island. 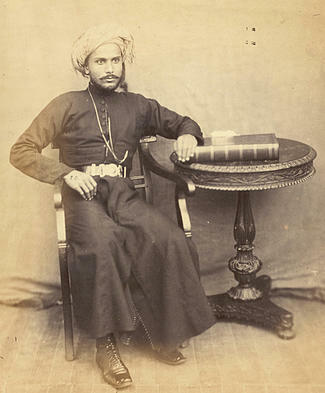 After his death in 1856, two of his sons, Majid bin Said and Thuwaini bin Said, struggled over the succession, as the result Zanzibar and Oman were divided into two separate principalities in 1861; Thuwaini became the Sultan of Oman while Majid became the first Sultan of Zanzibar. During his 14-year reign as Sultan, Majid consolidated his power around the East African slave trade. His successor, Barghash bin Said, helped abolish the slave trade in Zanzibar and largely developed the country's infrastructure. The third Sultan, Khalifa bin Said, also furthered the country's progress toward abolishing slavery. Until 1886, the Sultan of Zanzibar controlled a substantial portion of the east African coast, known as Zanj, and trading routes extending further into the continent, as far as Kindu on the Congo River. That year, the British and Germans secretly met and re-established the area under the Sultan's rule. Over the next few years, most of the mainland possessions of the Sultanate were taken by European imperial powers. With the signing of the Heligoland-Zanzibar Treaty in 1890 during Ali bin Said's reign, Zanzibar became a British protectorate. Under the protectorate, the sultans were generally aligned with the British. An exception occurred after the death of the sultan Ḥamad bin Thuwain on August 25, 1896, when his nephew, Khalid bin Barghash, seized the throne, preempting the British-supported candidate, Ḥamud bin Moḥammed. The British issued an ultimatum to Khalid: either relinquish the throne by 9:00 am on August 27 or be at war with Great Britain. 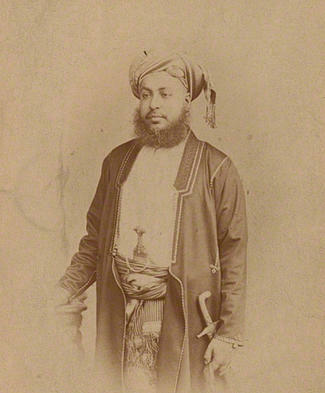 Khalid did not stand down, and the Anglo-Zanzibar War followed. Having lasted less than an hour before Khalid’s forces surrendered, it is considered the shortest war in recorded history. After Khalid’s defeat, Ḥamud was installed as sultan. Zanzibar’s longest-serving sultan, Khalifa bin Harub, assumed the throne on December 9, 1911, and served until his death on October 9, 1960. He was a well-respected leader—both on Zanzibar and abroad—and was credited with being a moderating influence in the region during times of political crisis. 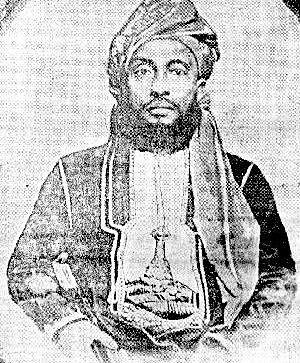 After the death of Khalifa his eldest son Abudllah bin Khalifa become a Sultan of Zanzibar. In July 1, 1963 after the death of Abdullah his eldest son Jamshid became Sultan of Zanzibar and head of the Royal House of Zanzibar. On December 10, 1963 the sultanate regained its independence, becoming a member of the British Commonwealth. In January 12, 1964 a revolt by leftists overthrew the sultanate and established a republic, Jamshid fled into exile to Oman and shortly after to the United Kingdom. HH Majid bin Said Al-Busaid, Bargash bin Said attempted to usurp the throne from his brother in 1859, but failed. He was exiled to Bombay for two years. HH Sayyid Barghash bin Said Al-Busaid. Responsible for developing much of the infrastructure in Zanzibar (especially Stone Town), like piped water, telegraph cables, buildings, roads, etc. Helped abolish the slave trade in Zanzibar by signing an agreement with Britain in 1870, prohibiting slave trade in his kingdom, and closing the slave market in Mkunazini. HH Sayyid Khalifah bin Said Al-Busaid. Supported abolitionism, like his predecessor. HH Sayyid Ali bin Said Al-Busaid. The British and German Empires signed the Heligoland-Zanzibar Treaty in July 1890. This treaty turned Zanzibar into a British protectorate. HH Sayyid Khalid bin Barghash Al-Busaid. Was a belligerent in the Anglo-Zanzibar War, the shortest war in recorded history. HH Sayyid Hamoud bin Mohammed Al-Said. Issued the final decree abolishing slavery from Zanzibar on 6 April 1897. For this, he was knighted by Queen Victoria. HH Sayyid Ali bin Hamud Al-Busaid. The British First Minister, Mr A. Rogers, served as regent until Ali reached the age of 21 on 7 June 1905. HH Sayyid Khalifa II bin Harub Al-Said. Brother-in-law of Ali bin Hamud. Oversaw the construction of harbor in Stone Town and tar roads in Pemba. HM Sayyid Jamshid bin Abdullah Al Said. On 10 December 1963, Zanzibar received its independence from the United Kingdom as a constitutional monarchy under Jamshid.